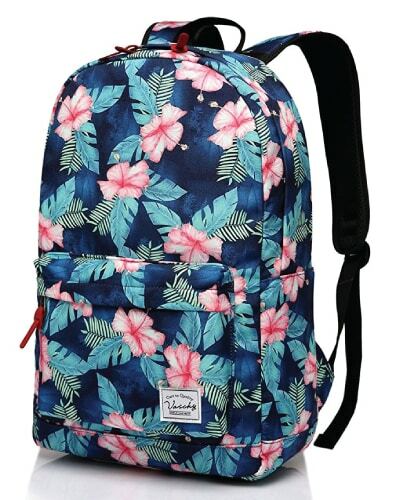 Don’t miss this collection of stylish backpacks with unique designs. These bags are chic, functional and affordable. They are awesome for school, travel, shopping, and other activities. Don’t forget to follow us on Pinterest for more cute school supply ideas like this. 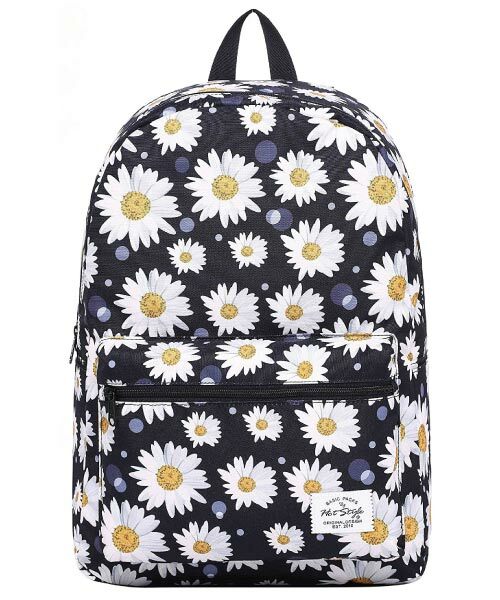 Beautiful backpack with pretty daisies. 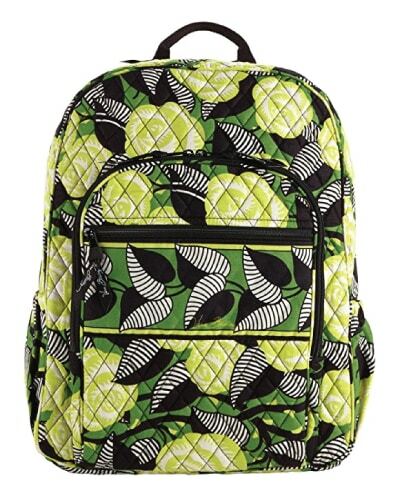 An impressive backpack from Vera Bradley. The bag features the designer label’s signature floral design. 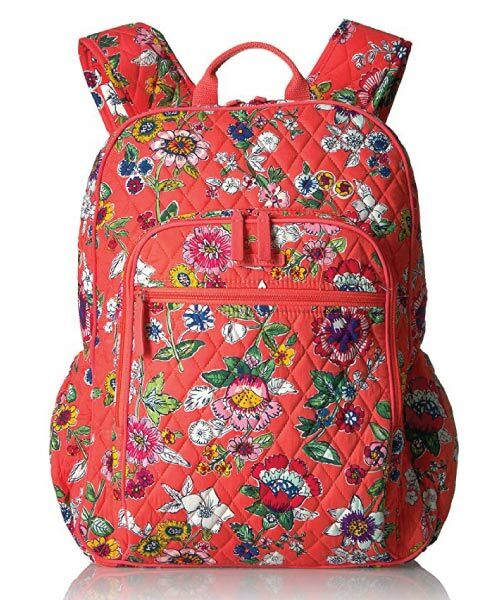 Are you a fan of Vera Bradley’s over-the-top design? 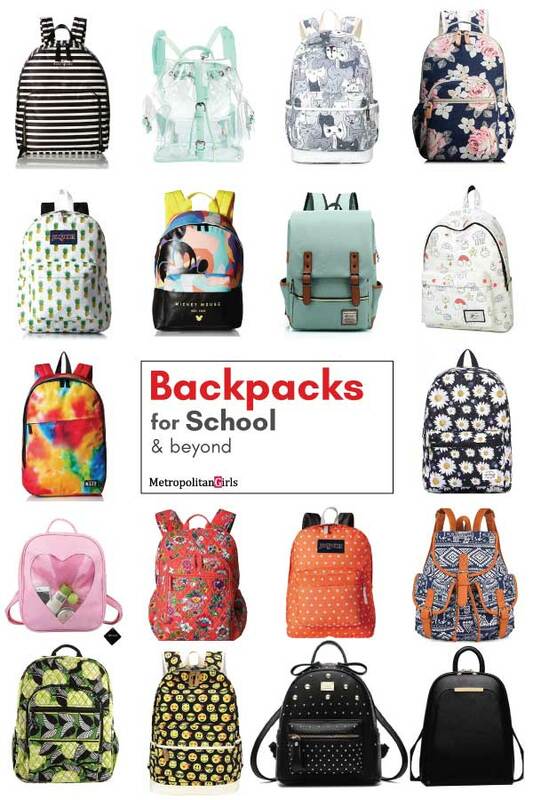 Check out these cool Vera Bradley school supplies in our back to school special. 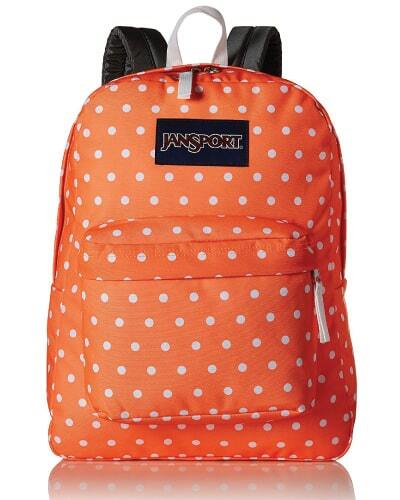 Cute school bag by popular brand JanSport. Vibrant pineapples pattern that feels fun and summery. It has a spacious compartment with a front pocket. Fits textbooks, binder, notebooks, calculator, and more. 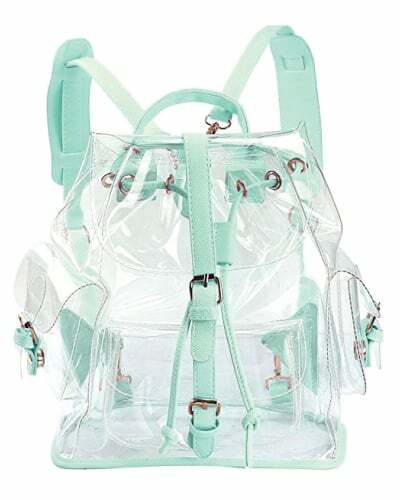 If your school or workplace allows clear bag only, you can opt for this cute clear bag with mint straps. 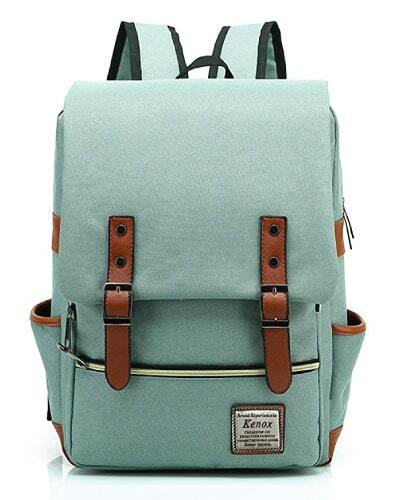 Made of soft plastic material with adjustable shoulder straps. It has two pockets at the sides and one front pouch. Vintage design that never goes out of style. Made from waterproof lightweight Polyester. 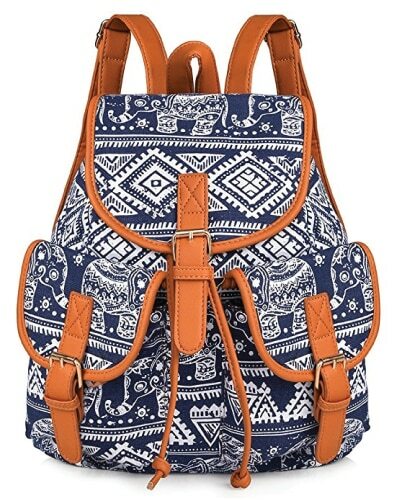 This bag is beautiful and durable. Features a roomy main pocket with laptop compartment, a front easy-access zipper pocket, an internal zipper pocket, and two side pockets. Girls, you will definitely love this pink bag. It has a small pocket in the main compartment and a separate slip pocket with the clear heart-shaped window. Looks sweet and adorable. Perfect for tween and teen girls. Also available in black, white, blue, mint, lavender. 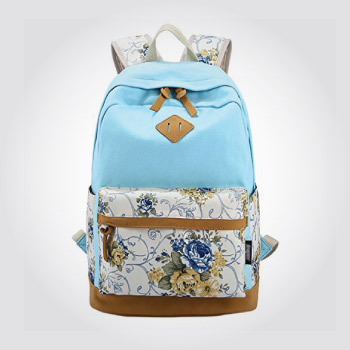 A pretty rucksack for girls. Pastel blue with flowers design. Made of canvas with fabric lining. Features padded slot for electronics, two slip pockets, one front pocket and two side pockets. 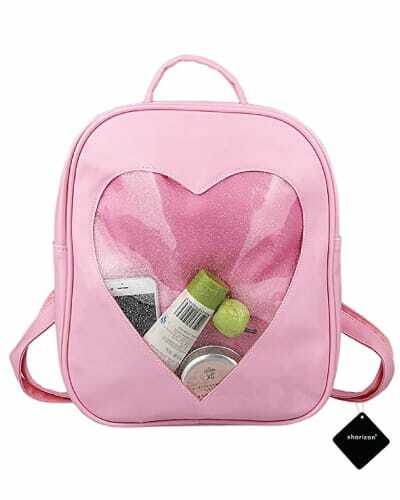 This bag comes with a zipper pouch great for storing makeup, stationery, and other small accessories. Another cute school bag for her with padded pocket and spacious compartments. 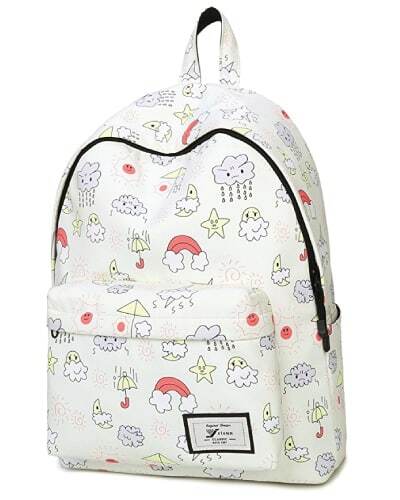 The design of clouds, umbrella, and rainbow is unique and attention-getting. Vibrant orange bag to store your stuff. Carry it and feel the happy vibes. 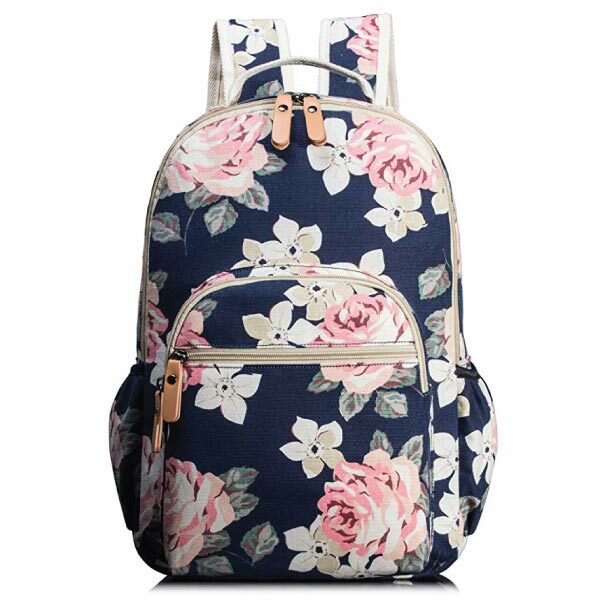 Elegant backpack with floral imagery and navy blue background. 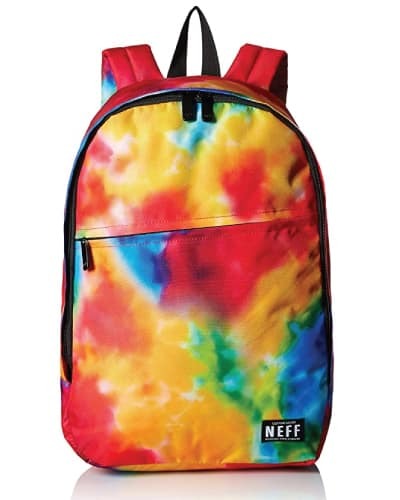 For the tie dye fans. Rich colors, cool-looking. Fantastic style for both guys and girls. Express it with emoji. Lightweight canvas bag with padded laptop pocket, utility pockets, and side pockets. Well-built, strong. Walk down the street with all sorts of moods. 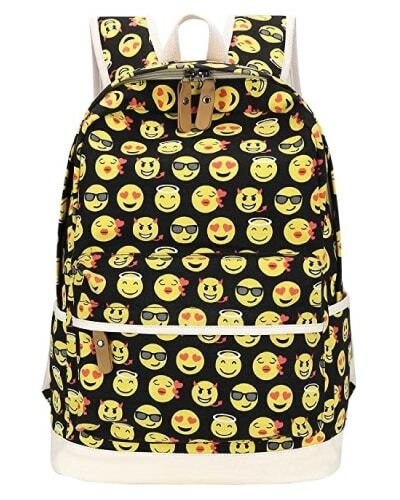 Find more fun stuff like this in our emoji office supplies article. Hello tropical flowers! Aren’t you look simply amazing with the turquoise background? I wanna carry you and feel the Hawaiian breeze. Retro daypack for the ladies. Nice size, lightweight. Matches well with any boho outfit. 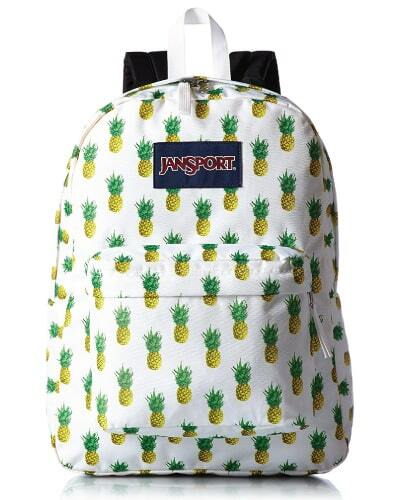 Chic backpack perfect for high school and college students. Featuring Vera Bradley‘s La Neon Rose design. Soft fabric, gorgeous pattern. This bag feels light and comfy to carry around. 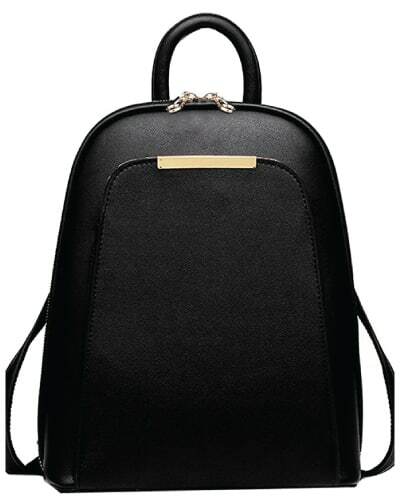 Great for storing heavy textbooks, laptop, and other study materials. 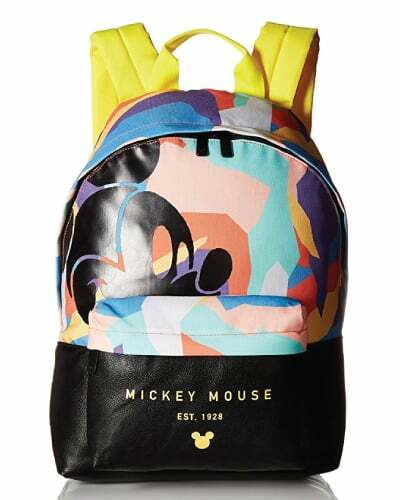 Carry a stunning piece of art at your back – modern art with a “mouse” twist. Unique and colorful. An amazing design you don’t wanna miss. Prefer designer style? 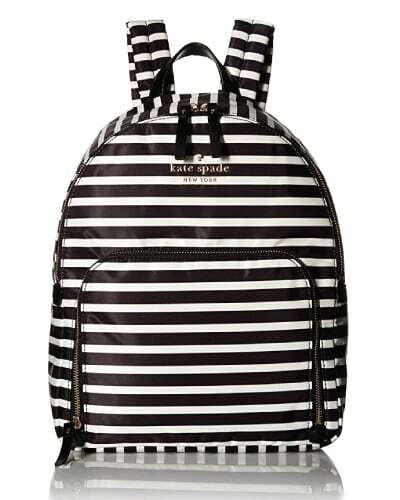 Have a look at this daypack by Kate Spade. Black and white stripes, one main compartment, and one front pouch. You will love the simple, clean and stylish style. This bag has a big capacity to fit textbooks and your favorite Kate Spade school supplies. 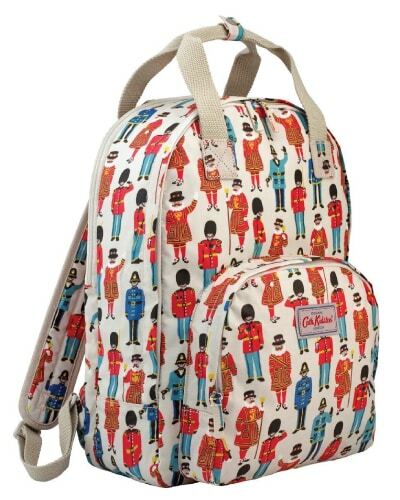 A bag with the spectacular view of British royal guards and friends. By Cath Kidston. Two compartments, multi-pocket, matt-coated. March to school and other destinations under the protection of guards. A mini black bag that rocks! 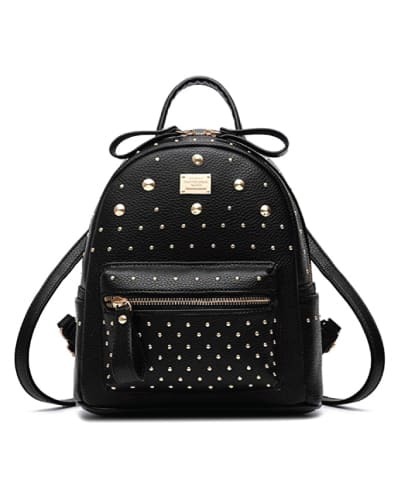 Scratch-resistant leather with shiny gold studs. Sleek and fashionable. Meow meow meow! Can you hear the cats singing? 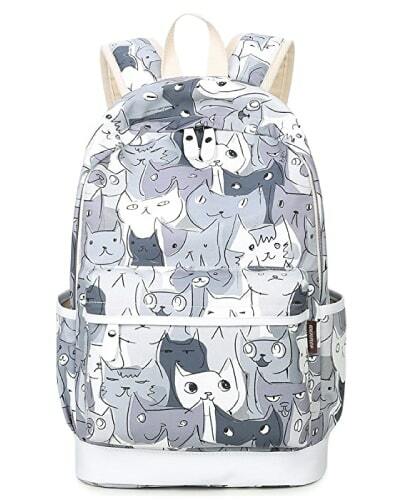 Let’s take a look at this cute bag with awesome lots of kitties on it. Big size with multiple storage pockets. It is a wonderful cat bag for the cat lovers. Little black bag with minimal design. Nice leather, good craftsmanship. Classy and lovely! 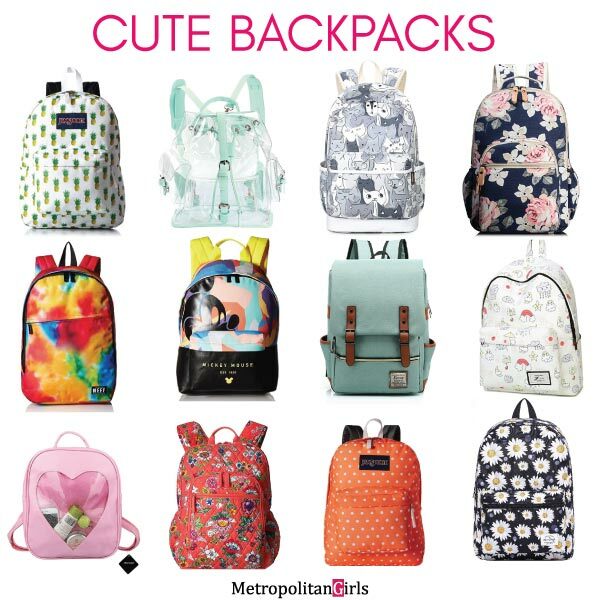 That’s our collection of stylish backpacks for school and beyond. Do you like them?